Arroyo, now a Pampanga lawmaker, and the military and police officials and personnel were charged for alleged violation of the Anti-Torture Act of 2009, Republic Act 7438 (Rights of Persons Arrested, Detained or Under Custodial Investigation), and robbery. The accused military and police officials include General Victor Ibrado, General Delfin Bangit, Lieutenant General Jorge Segovia, Colonel Aurelio Baladad, Colonel Cristobal Zaragosa and 10 other officials of the Armed Forces of the Philippines (AFP) and the Philippine National Police (PNP). The health workers were arrested and detained for about a year on allegations that they were members of the New People’s Army. In their joint complaint affidavit, the eight health workers narrated their individual experience under the hands of their captors. “As a result of the torture, we suffered physical injuries in different parts of our bodies. Worst, we suffered intense psychological and emotional pressure, the effect of which is still being felt even today, and require continued medical care before we can overcome the trauma,” they said. The complainants were Dr. Merry Mia Clamor, Dr. Alexis Montes, nurse Gary Liberal, midwife Ma. Teresa Quinawayan, Reynaldo Macabenta, Mercy Castro, Jane Beltran Balleta, and Samson Castillo. On April 4, 2011, six of the 43 health workers also filed a civil case for damages under Articles 27, 32 and 33 of the Civil Code at the Quezon City Regional Trial Court. Segovia, Baladad and Abawag were among the respondents for illegal arrest, torture, arbitrary and illegal detention. A complaint was also filed before the Commission on Human Rights on February 25, 2010 against Segovia and Baladad. THE 2nd INFANTRY Division arrested 43 NPA Medics and combatants conducting training on combat life-saving techniques and bomb making in a resort at Morong, Rizal last February 6, 2010. This accomplishment was considered the biggest victory in the counter insurgency campaign of the government in recent years. However, this has tested the strength of the 2nd Infantry Division, nonetheless, it remained strong with the truth it bears. With the magnitude of their debacle, the NPA and its legal allies had successfully created a deceptive propaganda that bothered the media and the public on the arrest of the so called "Morong 43". 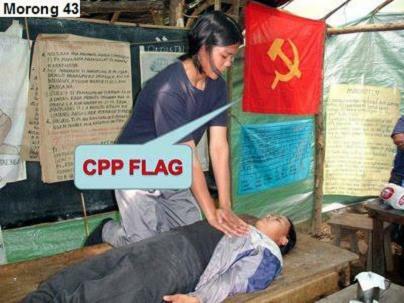 The CPP-NDF propagandists successfully projected that the arrested 43 NPA Medics are plain health workers that do training in a resort at Morong, Rizal. They even insinuated that this group was attending to the health services of poor communities. They muster their resources to free the captives. Thus, this tale began. The cunning enemy propagandists assailed 2ID with many issues like human rights violations (alleged physical and psychological torture), sexual molestations, illegal detention, and alleged defiant to the legal processes. Most of these allegations are misinterpretation to an incident, exaggerated facts or fabricated stories by the enemy propagandists. They used these incidents as issues of human interest. These had gained media mileage and hogged the limelight of the daily news for quite sometime. Such is a national issue that opened the 2ID camp to media coverage and fact-finding investigations. This event even reached the international community, as there were groups who tried to question the legality of the arrest having considered the profile of the 43 NPA medics. The issues of human rights violations were made by NPA propagandists to question the method of the arrest and the legality of 2ID's custody to the 43 captured. The physical restraints using handcuffs and the security measures of employing a magnitude of force during the arrest was also questioned. There were many issues aired against 2ID with NPA legal fronts backing some family members of the captured NPA. There were attempts that this group sought refuge to institutions and political personalities invoking their fabricated lies. They kept staging rallies outside Camp Capinpin and wherever the scheduled arraignments. They are taking all measures to win in the public perception and legal proceedings. The truth refutes all lies espoused by the enemy's propagandists. The Commission on Human Rights in its own investigation averred that the detainees did not appear to have been physically tortured. Clearly, they were only suffering mental anguish that the enemy exaggerates to be psychological and mental torture. Mental anguish is a normal occurrence to someone who experiences law enforcement actions. On the issue of sexual molestation, Miss Jane Billeta refuted her mother's personal and hearsay accounts; she belied her mother's contention that she went to sexual molestation during her detention. She confessed this in front of the media and Court of Appeals. On the alleged defiant to court orders, 2ID had properly sought permission before the Court of Appeals in Manila to reset the transport of the captured 43 NPA with due consideration to security requirements. On legalities and technicalities of the arrest, 2ID strictly followed the due process of law. In fact, the enemy's legal experts are adamant to start the arraignment of the raffled cases of the accused. 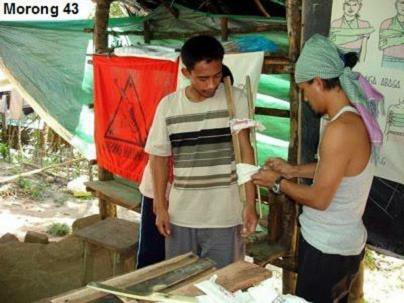 In a lighter view, the 43 NPA themselves refuted their propagandist's contention that they are plain medical practitioners who serve the poor communities. In the communist movement, a clinched fist is a salute inside the organization. During their presentations and arraignments, they showed this salute - a show of clinched fist. This is one of their blunders; they failed to coordinate among them not to show their identity. Moreover, the profile of the majority of the 43 fit to that of in the traditional China's barefoot doctors during the time of Mao Zhe Dong. However, their training is not for the purpose of community assistance but for their organization's force protection. They are NPA fighter's medics who are trained to deliver life saving skills in any events of armed engagements with military troops. 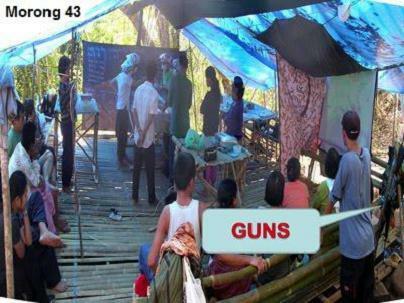 Five among the 43-captured NPA had defected from the group. They had already signified their intention of availing the Social Integration Program and return to mainstream society. They are the witness to the validity of their arrest and they expose the lies of their comrades. The arresting forces seized war items during the search of the training area as they were witnessed by a barangay councilor. 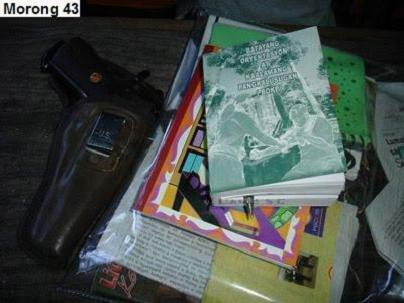 These includes two cal 45 pistols, one cal 38 revolver, three hand grenades, one canister 10x12 improvised landmine, five pieces of improvised claymore mines, two kilograms Ammonium Nitrate, 36 pieces improvised explosive sticks, 28 cellular phones, backpacks and cash amounting to Php 346, 850.00. 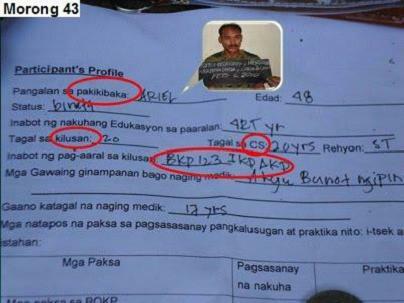 Among the captured personalities are high-ranking NPA cadres. 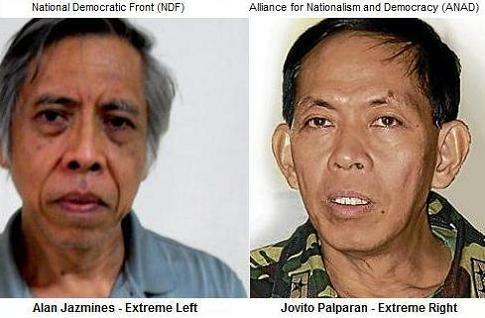 The others are regional and provincial NPA cadres. 17 of them are male and 26 are female. Two (2) have existing Warrants of Arrest for Murder in Mindoro province, two (2) were identified by Rizal PNP officers as among those who abducted them during the January 3, 2009 ambush at Barangay Macabud, Rodriguez and seven (7) were identified by Inspector Uy to have raided the Police Station of San Narciso, Province of Quezon in December 2009. Three (3) of them were previously arrested in Silang, Cavite in 2008 for illegal possession of Firearms and explosives but were released on legal technicalities and one (1) was also previously captured in Quezon but was released on the intervention of "Karapatan". Major General Jorge V. Segovia, 2ID, commander stressed, "I have no other desire but to stop the insurgency in this part of the region. The arrest is not an attack to the medical profession or health workers but an arrest of the long growing menace to peace and development." Amidst the controversies invoked by the CPP-NDF propagandists, it is note worthy that the arrest of Morong 43 is a big set back to the New Peoples Army. The 2ID expects that these propagandists will do all their best efforts to free the captured 43 NPAs and exhaust all means in winning the public's perception to discredit the reputation of 2ID. 2ID remains resilient in its resolve to accomplish its mission. 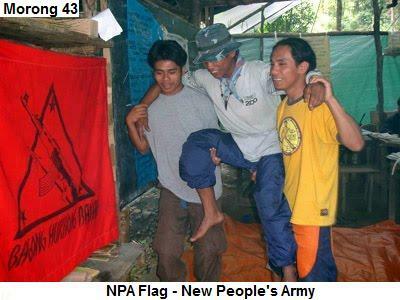 The 43-captured NPA's have their rights to assert and 2ID respects them. They were well taken cared in their detention center and their rights are being respected in their stay with 2ID. The 2ID believes that their guilt is to be established beyond reasonable doubt in the rules of court. In all this, the 2nd Infantry Division is confident that it adheres to the highest virtue of professionalism and follows the doctrine on the respect of human rights - something that is maligned of by the CPP-NDF's propagandists. Slowly but surely, the truth has vindicated 2ID from all of these.